This is part of a series of sponsored posts. Keystone Resort provided complimentary activities for our family to enjoy during our stay. After a day of private family lessons for skiing and snowboarding, you would think we would be set! Ready to hit the slopes solo! Well. . . two of the four of us were comfortable with that idea. The other two were going to try not to die, or break anything! Ready, or not – we were on our own! After a day with a private instructor, both of the boys felt confident in his abilities to be on his own. There was a lift within walking distance of our hotel. The boys studied the map of the slopes determining which ones they wanted to take. They knew what signs to follow, and where to get back on the lift. They planned and mapped out their day! After making sure the boys knew to stay together, stay on green runs, and to check in at least once an hour, we turned them lose. Up they went for an adrenaline filled day of zipping down the mountain. Then, the hubby and I hopped on the next lift. We had a lot of guidance and practice yesterday. We were ready to do this! 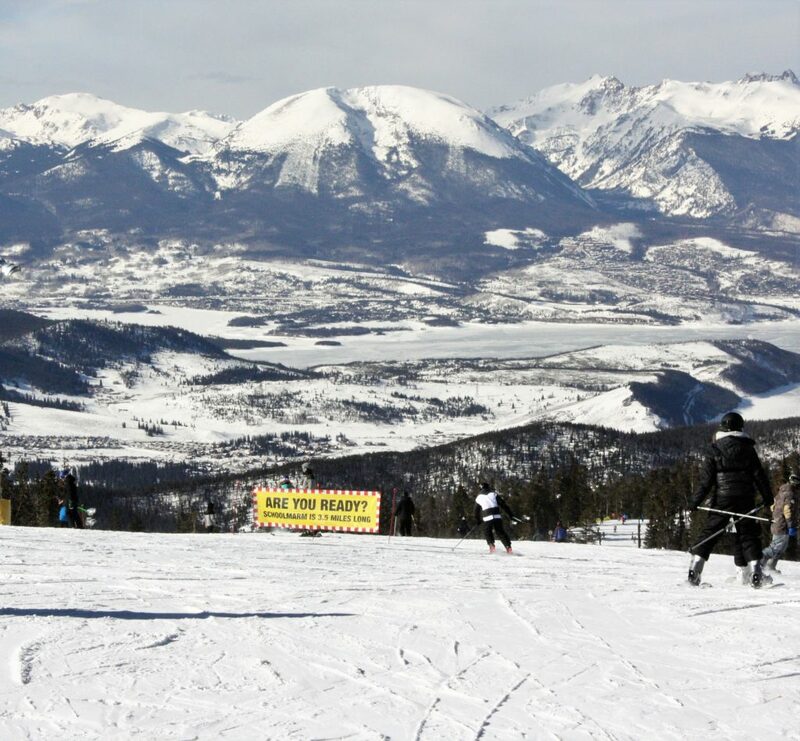 Keystone Adventure: Schoolmarm, Here We Come! From the top of Schoolmarm. I knew it wasn’t really glitter. It was, however, stunningly beautiful and a little bit magical! We made it to the top, and managed to exit the lift without incident. No one fell down. No one was run over. The lift did not have to stop. At this point, hubby and I realized. . . there was no turning around. You can’t take a lift down the mountain, only up. We had to ski down. We could do this. Easy peezy, lemon squeezy. Not how you want to get to the bottom of the mountain. Ok. Pizza stance to gain control before starting downhill. I got this. Next, slowly move the feet to French Fry. Point the toes in the direction you want to go. Doing ok. There are a lot more people up here, going really fast. Wow! Look at that snowboarder going up, almost crashing into the trees and flipping around! FOCUS on your FEET! PIZZA! PIZZA! PIZZA! Whew, I slowed down and managed to come to a stop. Try again. Pizza to French Fry. Again, trying to focus on my feet with so many other things around. Did I mention it’s three and a half MILES to the bottom. Skiers zipping past. More snowboarders. Skis are at French Fry. Speed is picking up. I keep trying to pizza, but it’s not making me slow down. Panic is setting in. Losing control of feet, arms, body. . . .skis cross in the front. I really don’t know if I face planted, or tumbled a bit. I know my head banged around in my helmet. The wind was knocked out of me, and I was face down in the snow. “Let me take off your skis.” And she did. Just like that. 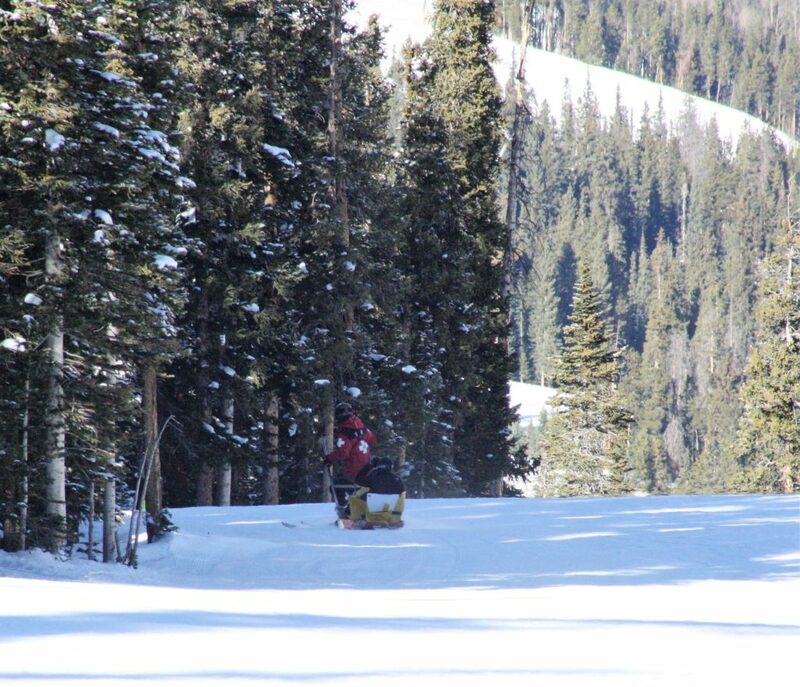 Once my skis were off, I could at least roll over and attempt to sit up. Side note: I tend to be a control freak. And, when things get out of control I tend to have panic attacks. The thing about a panic attack is that you can end up hyperventilating. There wasn’t even enough oxygen for a panic attack! And we still weren’t close to the bottom. We crept down the mountain at a turtle’s pace in full, power pizza mode. Once we were safely on a flat surface, we agreed – we were done. We are not brave and daring. We both had to be in one piece to go back to work after the holiday. No one wants to meet a medical deductible in December! The boys were having a marvelous time! They found our adventure hysterically funny. Truly, they were glad we were ok, but they did think it was comical. Hubby and I clomped back to the hotel. We changed into warm, comfy boots, and took our ski gear back to https://www.d2dskis.com/. There were very understanding when we explained that we didn’t wish to die, or break anything on this trip thus, we needed to return the gear. We enjoyed the rest of our afternoon enjoying the Matterhorn nachos and beer from Go Big Burger at the Mountain House Food Court. 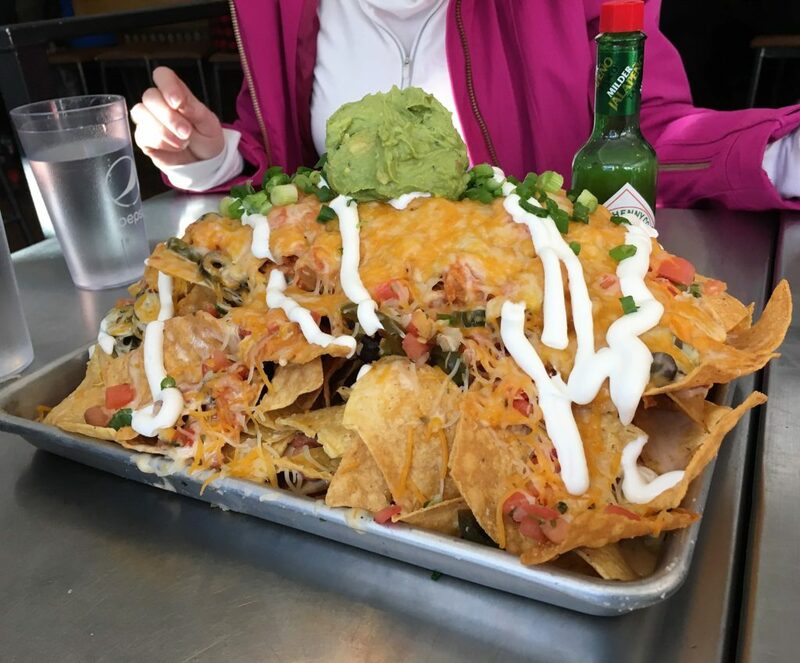 That’s a giant pan of nachos! One more day left for adventures!